When Rachel was a baby her birth mother left her on the steps of a church. At the age of one she was adopted and that's knowledge she's had for quite a while. Rachel has tried to search for her biological mother, but the information she has isn't correct. That makes it hard to continue the search. Rachel inherited her grandmother's cottage when she passed away. The cottage is lovely and Rachel is very happy there, living together with her little dog. Every now and then Rachel hears odd sounds and a flower pot keeps falling down. Clergyman Matthew Williams is sent to Rachel's home to check out some peculiar occurrences. It seems like the house is haunted, but it turns out to be something completely different, an endangered species has taken residence in her attic. Rachel has a wonderful home and Matthew falls in love with the cottage immediately. When he finds out that Rachel is looking for a tenant he takes the room straight away. Matthew is a bit lost ever since he was brutally attacked. He's thinking about his future and what would suit him best. After Matthew moves in with Rachel weird things are happening. At first they think this is about Matthew, since he was attacked before, but soon it is clear that they are meant for Rachel. Rachel has started to search for her biological mother again and Matthew is the person who can get her the new information she needs. It turns out that a lot of people don't want Rachel to find out the truth and they are willing to go very far to keep that from happening. The Image of Her is a beautifully written story about a young woman who is searching for the mother who left her on the steps of a church. Being a mother myself I can't imagine what will drive a person to come to this decision. Besides help trying to find the truth Rachel also finds the love of her life in Matthew. Rachel and Matthew are both loving and good characters. Rachel also isn't afraid to confront people when she needs to. I really liked that about her character. Matthew is a sweet and dedicated man and he is perfect for Rachel. 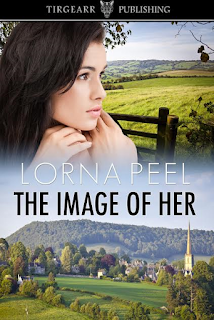 Lorna Peel has written a fascinating story. She gives just the right amount of information and perfectly times when the reader is ready for something new. This kept me hooked and made me want to keep reading. Within the mystery and romance also lies the truth and the full story really shocked me. 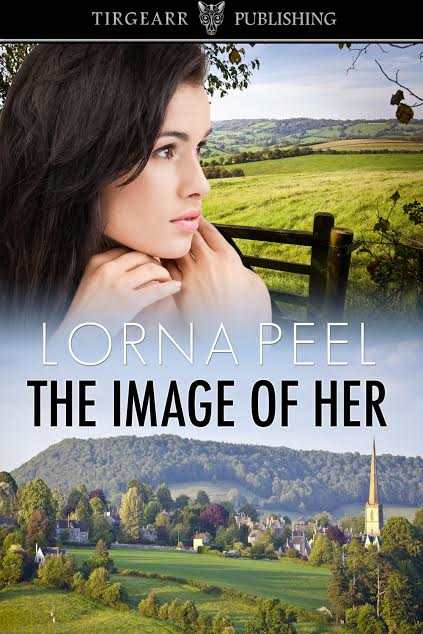 This is my first book by Lorna Peel and after reading The Image of Her I know it won't be my last. Lorna Peel will be awarding a $25 Amazon/BN Gift Card to a randomly drawn winner after the tour. Thanks for the chance and I would love to read it!!! Hi Mai! I don't want to give away too much, but when a person looks very much like another person, they are said to be the image of the other person. It sounds great . Thank you for the chance . 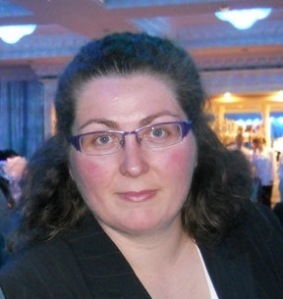 Thank you for reading and reviewing The Image of Her, Anniek! Hi Peggy! I love Sharon Kay Penman and Elizabeth Chadwick’s historical novels. The amount of research which goes into their novels must be enormous but the books never suffer from info-dump-itis! This sounds intriguing. I'm curious to find out what is going on with Rachel. thanks for sharing! I really appreciate the chance at winning, thanks so much! Oooh...mysterious! Sound intriguing. Have a great day! Ha ha Lorna! I too was born in England of an English Dad & a Welsh Mam. We lived in N. Wales for about 5 years before moving to Ireland and now live in the so-called sunny south east (rural Co. Wexford)! I enjoyed the book review. Thanks for sharing. Love the cover too. Thanks for sharing your review. I've enjoyed following the tour for The Image of Her and I'm looking forward to reading it myself! I really like the blurb and is so interesting and really like a book that have you intrigued and have romance!!! I enjoyed the book review. Thanks for sharing. These kind of stories hit me in the gut since I became a mum! How much research did you do for this book? Or did you write it then fill in the gaps? Have you ever juggled writing multiple stories? Or maybe while your writing a new one, you have to edit an almost completed one. I'm curious about what the weird occurrences that happen at Rachel's house.